Circa 1900. 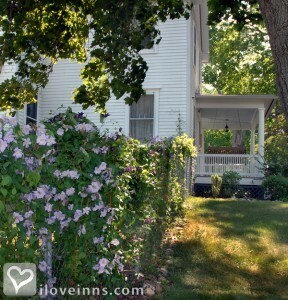 Gracing two acres, this home was built in the Edwardian style and features an art nouveau d�cor. Relax by the fire, on the patio or the wraparound porch. Enjoy afternoon tea, and admire the hundreds of clematis that surround the grounds from early spring to fall. Guest bedrooms are named for the flowering vines and painted to reflect the matching color. Stay in the pale blue Mrs. Cholmondeley with a restored clawfoot tub, personal toiletries and terry cloth robes. 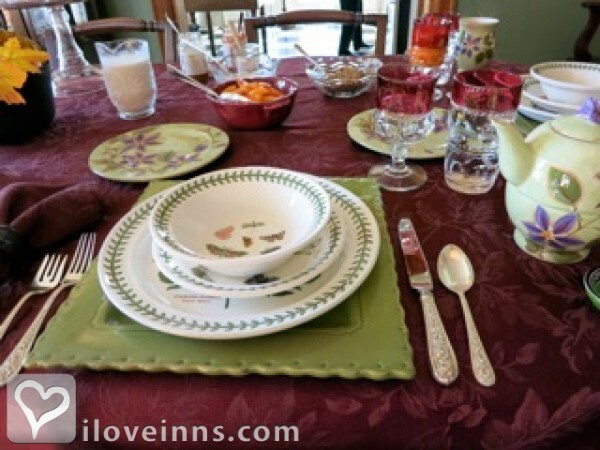 Savor a healthy, organic breakfast in bed, in the dining room or solarium. Fresh-squeezed orange juice, just-ground coffee, herbal and regular teas, granola and yogurt are accompanied by popover pancakes with fruit filling, fresh strawberries with kiwi and mango slices, absolutely fabulous bran muffins or blueberry coffee cake. Browse for souvenirs at the Fairport and Erie Canal Shop in the village. Payment Types Accepted Include Personal Checks, Travelers Checks and Cash. This property has 3 total guest accommodations, 2 with private bath. The types of beds available include Twin and Queen. Beautiful fireplace for quiet evenings in front of fire. 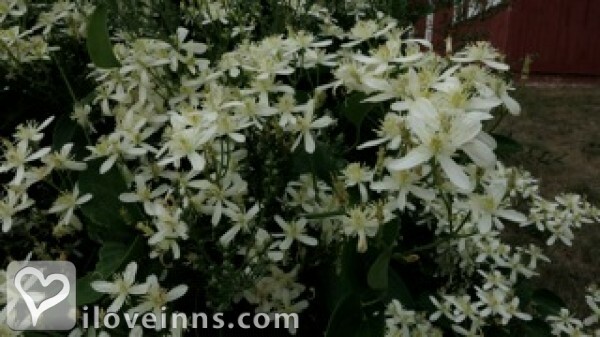 Hundreds of clematis vines surround the grounds from early spring to fall. National Folk House, built in 1900, the former home of James I. George who started as early as 1894 growing the clematis vine, officially proclaimed the town flower. George Eastman House, Susan B. Anthony House, and Erie Canal. Many restaurants in general area. Glad to make, reservations for guests.. The dates this property will honor the certificate are Anytime, subject to availability. Wonder place to stay. The owner is just a delightful person and will bend over backward to make your stay fantastic! 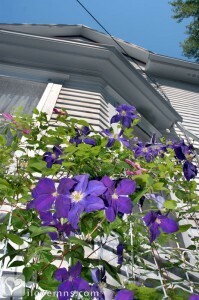 The Clematis Inn sets the gold standard for B&Bs. Theta (the innkeeper) restored the property with perfect Period taste and incredible attention to detail. The rooms and baths are immaculate. In the morning we were greeted with a delicious breakfast (including omelette, freshly-baked pastry,freshly-squeezed juice and organic berries). 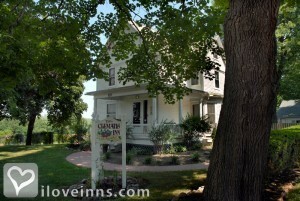 The Inn is located in a lovely, pastoral setting which is also close to town, the Canal, and wineries. We are looking forward to returning to experience the autumn and winter scenery from our room at the Clematis Inn! 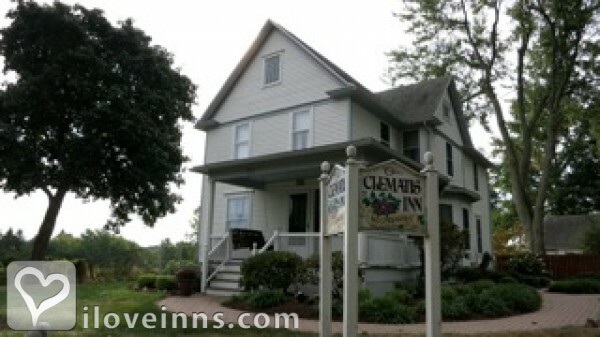 Each summer for the past 4 years, I had the great pleasure of staying at the Clematis Inn. It is a beautiful, restful place to stay, but the real treasure lies in the innkeeper who could not be a more gracious and welcoming hostess! The breakfasts are truly worth writing home about--the freshest ingredients, excellently prepared, and often in such abundance that I have some to take along for my trip! Often, my dog joins me on these trips and he is treated like a member of the family. 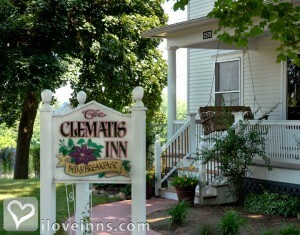 For a regular visit or a once in a life time event, you cannot beat the Clematis Inn! 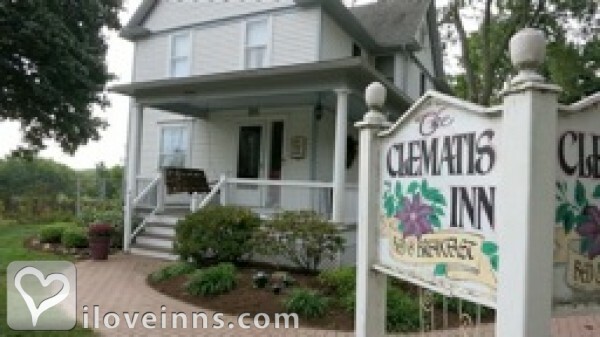 My husband and I stayed at the Clematis Inn when we went to a wedding nearby. 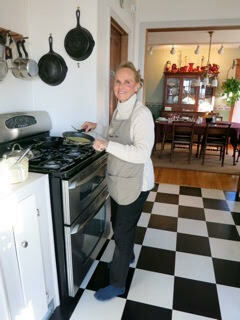 The Inn is very clean, the hostess/owner friendly and very accommodating, and the breakfast is huge and delicious. Highly recommend.